We aim to onboard the best people. The experience and expertise you bring to the company and carry on developing at Heerema Marine Contractors are invaluable. The scale and cost of our projects are such that they require specialist knowledge and an innovate approach. 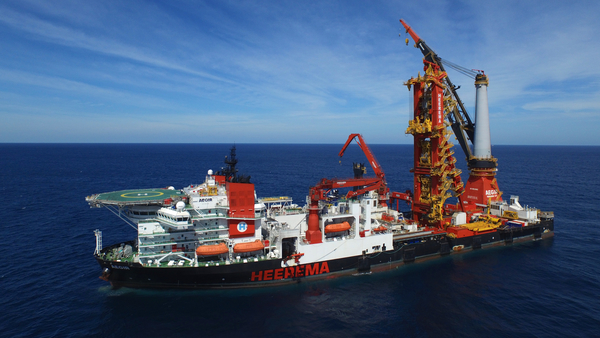 Alongside personal development, Heerema provides full support in planning your career within the company. If you are willing to take an active approach to this, your career progress lies in your own hands. We give you the opportunity to set your own career plan and to take the courses and professional skills programs you need to bring your objectives within reach. At HMC, your personal development is a key priority. Indeed, it is anchored in the way we interact as staff and how we challenge each other to bring out the best in ourselves. This is a fundamental aspect of the Heerema culture. If you show initiative, you can count on our support. We offer on-the-job training, mentoring, personalized occupational and technical courses and participation in special programs to encourage personal growth. Regular performance assessments provide you with a clear insight into your own work accomplishments. There are many ways you can take advantage of the results: they serve as a guide to help us shape your personal development path together and to map out your ambitions in respect of education and training. For example, would you prefer to advance within the company as a specialist or a generalist? As a young professional at HMC, you will find plenty of support in the form of professional coaching and mentoring. Naturally, the assessment also plays part in determining your salary and bonuses.